Today in Masonic History James Craik is born in 1727. 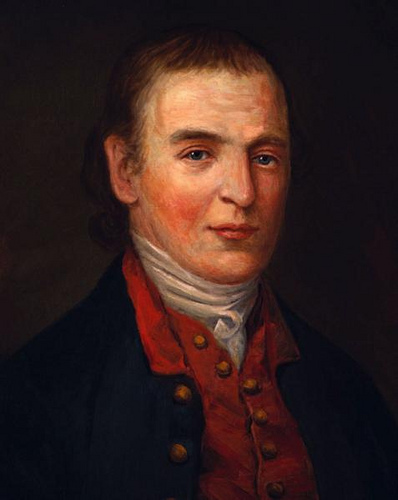 James Craik was a Scottish-born American Physician General precursor of the Surgeon General. Craik is believed to be born on February 2nd, 1727, although some sources say it was 1731. Craik's wrote in a letter that Craik was 6 at the time of his father's marriage which is known to be in 1733. Even the day of his birth is somewhat in question, this may be in part because he was the illegitimate son of William Craik, a agricultural engineer and pioneer. Craik was born in Kirkbean in Scotland. Craik studied medicine at the University of Edinburgh before joining the British Army after graduation and served as an Army surgeon in the West Indies until 1751. After his service in the West Indies ended he moved to Norfolk, Virginia and opened a private medical practice. Shortly after he moved to Winchester, Virginia. In 1754, Craik joined the Army this time serving in the French-Indian war. During the war he became close friends with George Washington. Craik saw a lot of combat during the French-Indian war much of which was around Fort Necessity in Pennsylvania. After the French Indian war and the years leading up tot he American Revolution, Craik opened a practice in Port Tobacco, Maryland. Later he moved to Virgina and established a home there with his wife and six children. He also traveled with George Washington on surveying expeditions examining military claims in Pennsylvania and what is now West Virginia. When the American Revolution started Craik once again went into military service, this time in the Continental Army. He served as an Army surgeon and treated the Marquis de Lafayette during the Battle of Brandywine. He also warned Washington of the Conway Cabal, an attempt by some to have Washington ousted as Commander-in-Chief of the continental army. The attempt failed and caused General Thomas Conway, namesake of the Cabal, to resign. After the American Revolution, Craik once again left the military before being called back again by his close friend, now President George Washington, in 1798 to serve as Physician General in the Quasi-War with France. He left the position in 1800 after the war was over. Craik was also the personal physician of George Washington and was treating the President at the time of his passing. Craik was also present at the passing of Martha Washington. Craik passed away on February 6th, 1814. Craik was a member of Alexandria Lodge No. 22 in Alexandria, Virginia. He was initiated into the lodge when it was still No. 39 under a charter issued by the Grand Lodge of Pennsylvania.